This week we’ve arrived in the small island country of Malta. Thanks to a central location, it has seen more conquest and changing rulers than most – making for an exciting history, unique culture, and one of a kind country! The early history of Malta was characterized by different tribes, some of whom left their marks on the landscape by constructing temples. As civilization grew more advanced in the Mediterranean, Malta came under the purview of many of the prominent civilizations of the age – including the Phoenicians, Greeks, and later the Romans – largely due to its location. During the Roman era, Malta was generally considered a wealthy and luxurious land, and one that impressed the Romans greatly. After the Western Empire fell, Malta changed hands a great many times. Barbarian tribes including the Vandals and the Ostrogoths claimed the islands at different points. Later, the Byzantines from the east conquered Malta – ruling until the year 870 when the Arabs took it. The land was a cornerstone in the conflict between the Muslims and the Byzantine Empire for the next couple centuries. It was during this time that a unique Maltese culture and language began to emerge. Malta was once again the object of conquest in 1091, this time thanks to the Normans (who conquered nearby Sicily as well). Catholicism was reintroduced and Malta became an important part of the greater Sicilian kingdom, largely due to its militarily strategic position. This wouldn’t last however as the Holy Roman Empire soon took ownership of Malta around the start of the 13th century. Moving forward, we find Malta in the hands of the Spanish during the late Middle Ages and beyond. Even during this time, the ownership of the islands changed between Barcelona and Aragon – all while the people voiced their support for Sicily. In 1530, Emperor Charles V gave Malta to the Knights Hospitaller– a religious faction who went on to form the renowned Knights of Malta. With the aid of the Spanish, these knights beat back the Ottomans in a military victory that would be remembered for the ages. This is Malta however, and someone else was bound to rule eventually. In 1798, Napoleon conquered the country for France. By this time, the Knights were very unpopular and Napoleon was able to force surrender after bluffing his way into the harbour. Soon the French became unpopular (as most occupying forces are wont to do), and other European powers sought to use this for their own ends. With the blessing of the population, it was the British crown that received ownership of Malta as part of a deal finalized in 1814. The location was a great boon for the extensive maritime trade of the British. While there were occasional flashpoints, British rule over Malta was largely successful. 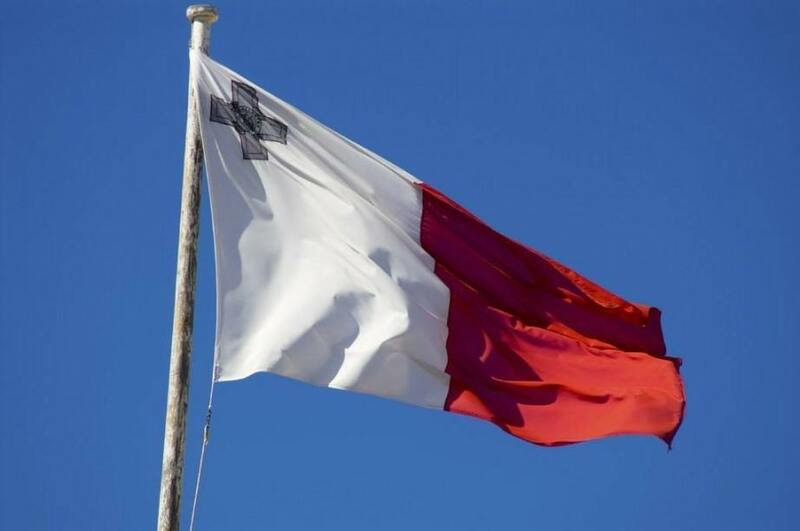 During World War II, the people distinguished themselves greatly during the second Siege of Malta, prompting a collective George Cross awarded to the islands as a whole from King George. Following the end of the war, Malta began moves towards independence, which was finally achieved in 1964. While initially retaining the monarchy, Malta soon became a republic (though it remained in the Commonwealth). Thanks to a neutral policy, the country played host to important talks between President Bush and Gorbachev in 1989 – a key event in the end of the Cold War. 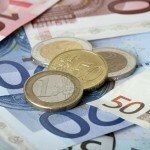 Since then, Malta has joined the European Union and adopted the euro – in so doing becoming a full-fledged member of the European community. It should come as no surprise that Maltese culture has a great many influences due to the centuries of conquest and changing leaders. 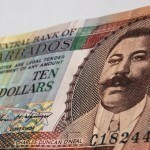 The culture is generally European with many similarities to other nearby countries such as Italy, Spain, and France – while retaining elements in keeping with British colonies. This can also be seen in the architecture, which is both Mediterranean and British while including Eastern elements commonly associated with Byzantium. 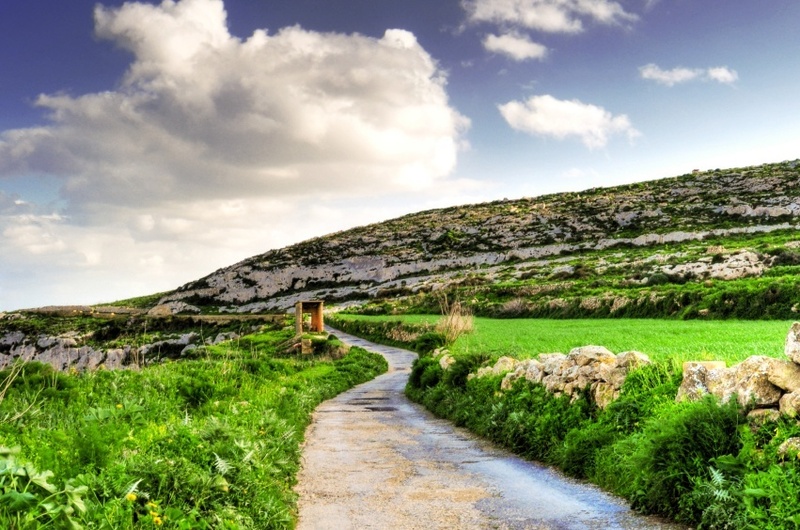 Thanks to its location and maritime history, people from Malta have long been emigrating to other parts of the world. Sometimes they return to Malta and bring back distinct cultural elements to the country. Other times they remain abroad, contributing to a relatively large worldwide diaspora considering the Malta’s size. Maltese food once again comes from multiple backgrounds, in this case predominantly Sicily and England. The country has developed its own unique dishes including pastizzi (snack pastries) and ftira (a type of bread). The most popular sport in Malta is, as per usual, soccer. Mostly due to the small size of the country, the national team is one of the weaker in Europe – however they have achieved a few memorable wins over their history. 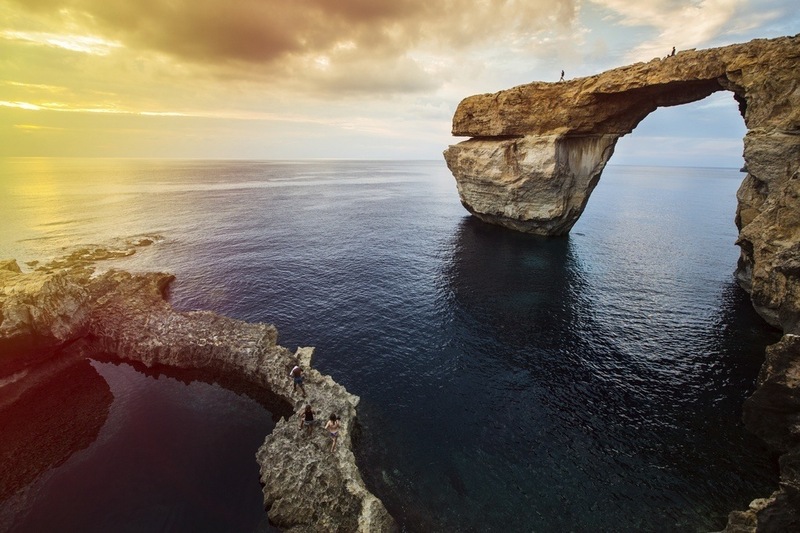 Malta consists of an archipelago in the Mediterranean Sea, with three inhabited islands (including one – Malta – that is quite a bit larger than the others). 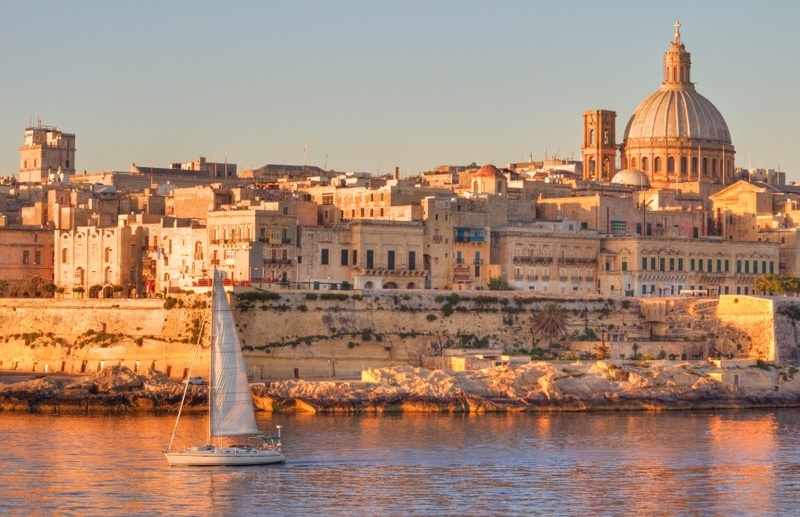 Located almost 100 kilometres south of Sicily, Malta is actually more southern than parts of Africa. The islands are limestone with a landscape of hills, rocks, and fields. Many bays can also be found throughout the islands – which have been used as harbours throughout the centuries. The capital of Malta is Valletta. While the historic city has a population just over 6,000, the metropolitan region numbers nearly 400,000. Because of this, the 22,000 town of Birkirkara is officially the largest settlement in the country. Thanks for reading! 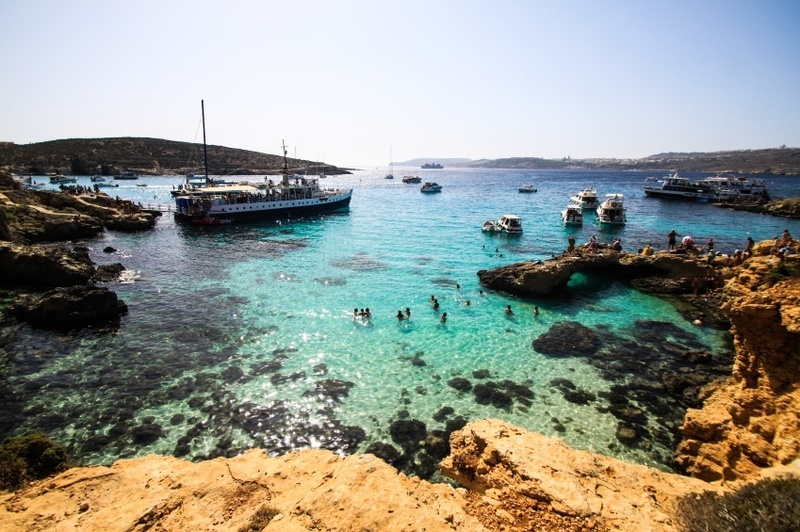 Check back for more this week as we cover Malta’s best destinations in our Travel Guide!